Concentric Splicing – Hartline Supply Inc.
A concentric splice is made by cutting and staggering individual layers of the concentric type wire. 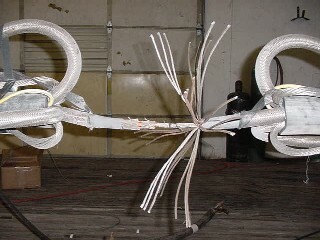 The individual layers are welded back together with separators installed between layers. 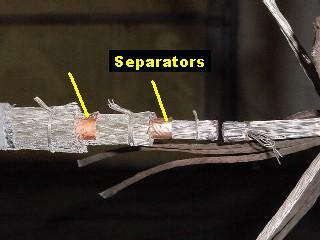 This prevents the individual layers from being welded to each other as each layer is welded back together. 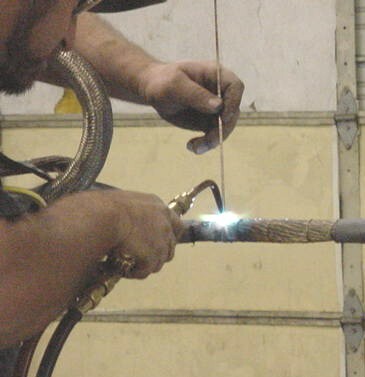 A Hartline Supply employee is doing the final weld of a phase on a concentric splice.